Double Whammy Networking Southend - Business networking events in Southend, Rochford, Rayleigh & Benfleet. Double Whammy Networking Southend provides business networking events in the Southend-on-Sea, Castle Point and Rochford districts including the towns of Benfleet, Canvey Island, Hockley, Leigh-on-Sea, Southend-on-Sea, Rayleigh, Rochford and Westcliff-on-Sea. 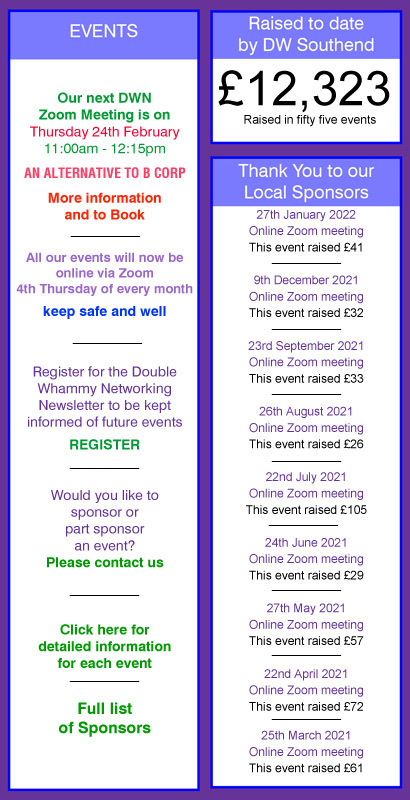 But Double Whammy (DW) are networking events with a difference: they are ad hoc – different venues, different times and slightly different formats - but there is a common denominator. At least 80% of the ticket money raised goes to local good causes. There are no raffles or auctions on the day – just good quality networking. 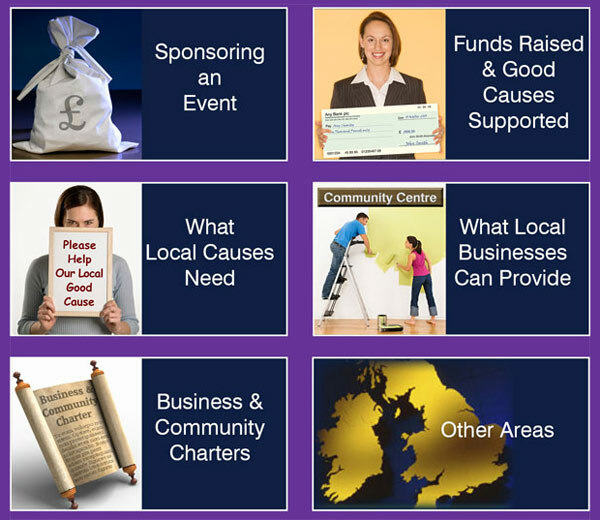 The events are priced at normal market price for the type of event but sponsorship enables us to raise funds for the “charity pot” for that particular day. So please come along and do some serious networking, knowing that you are “doing good” at the same time!